It's not all bad news though - it's fallen from the previous quarter. Still: does this suggest Mark Carney spooked too early? The statistics gods have not been kind this morning. There we were thinking unemployment was going to keep on falling, then it ticks back up to 7.2%, its first rise since February last year. To be fair, the quarterly figure (for October to December) actually fell by 125,000, or 0.4%, to 2.34 million people, said the Office for National Statistics. And the number of people in work rose 193,000 to 30.15 million in the quarter. Youth and long-term unemployment also both fell. The thing is that everyone had got excited when unemployment fell 0.5% to 7.1% in the three months to the end of November, and a raft of sunny economic figures and forecasts indicated it could keep on falling. Indeed, Bank of England governor Mark Carney had said an unemployment level of 7% could trigger a rise in interest rates, before he ditched the idea last week in favour of a broader range of economic indicators. But the wobble may mean that Carney jumped the gun too soon on changing his flagship forward guidance policy. On the other hand, if we’re being kinder to the Canadian, altering the guidance gave the Bank the opportunity to emphasise that interest rates are going to stay low until the economy is well and truly roaring ahead again. The unemployment figures, combined with the dip in inflation to below the Bank’s target rate of 2%, indicates rates are going nowhere for a while yet. 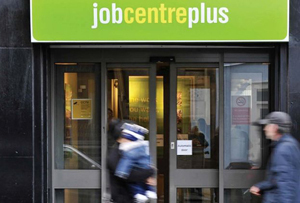 The ONS’ senior labour markets number cruncher Nick Palmer pointed out that we shouldn’t get ourselves too worked up over the unemployment rise. ‘The latest unemployment rate is not directly comparable with the figure published this month, as the Labour Force Survey is not designed to measure monthly changes,’ he said. ‘The main conclusion that should be drawn from these latest figures is that the rate at which unemployment has been falling is likely to have slowed down.’ Going in the right direction then, but not full speed ahead.